Batista do Bacalhau Restaurant is one of the better known eateries in Aveiro, Portugal. Established some 40 years ago, it is a stalwart of the city’s restaurant scene and welcomes diners from all walks of life throughout the year — locals, travellers from elsewhere in Portugal and tourists from overseas. 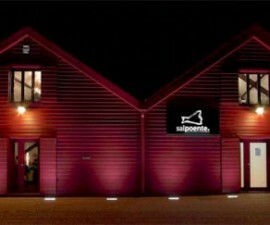 It is located in the centre of the city and occupies a large, airy dining room with capacity for an impressive 260 diners. In Portugal, bacalhau means cod and, as its name would suggest, cod is the speciality of the Batista do Bacalhau Restaurant. The team have spent the best part of four decades perfecting their cod specialities, which use the highest quality Norwegian cod combined with the most rigorous and creative methods of Portuguese cookery. Together the two create a unique offering that diners in Aveiro return to sample time after time. 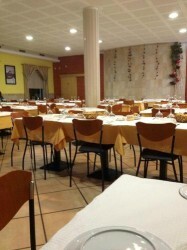 Despite its size, the dining room has a pleasant, welcoming atmosphere, in a contemporary, yet not overly modern, style. There is plenty of lighting, white and sunny yellow colours on the walls, tiled floor and a few wrought iron touches, complemented by sparkling white linen on the tables, all of which lend Batista do Bacalhau Restaurant a clean but not clinical feel. Cod dominate the menu, as it should, and it would be a shame to eat here without sampling some of the cod specialities. 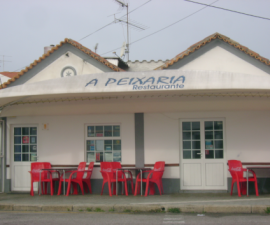 Try roasted cod, cod with potatoes, the house special Ti Arlinda cod and fried cod with beans, a Portuguese speciality. For those who prefer their meat dishes to fish, there are lamb chops, Beef steaks and cozido – a traditional Portuguese beef stew with cabbage. 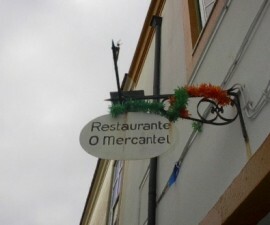 There is a large wine list with offerings from far and wide, including some from the area local to Aveiro. Ask your waiter for suggestions and you should find the perfect accompaniment to your meal. 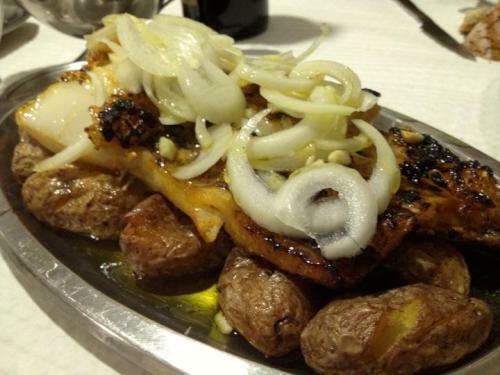 If you are wanting to eat in the comfort of your own accommodation, or even to enjoy your food sitting by the side of one of Aveiro’s pretty canals, simply order a takeaway of roasted goat, cod, chicken or suckling pig for the ultimate al fresco treat. Batista do Bacalhau is open from Tuesday to Sunday for lunch and dinner. There is plenty of seating but booking is recommended as this is a popular restaurant for large groups and celebrations, as well as family meals and quiet dinners for two.